Have you noticed your basement walls are cracked or bowing? Weak walls or an aging foundation isn’t just an eyesore, it’s dangerous. StablWall is a permanent solution that will repair your home’s foundation without costing you valuable space in your basement. If your foundation is bowing and cracking, it’s letting in the moisture that it should be keeping out. 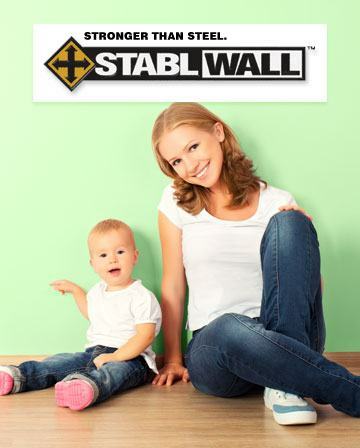 StablWall enhances your basement leak repair by bracing your walls and preventing further damage. Traditional repairs, such as steel beams, can take up to a foot of usable space! 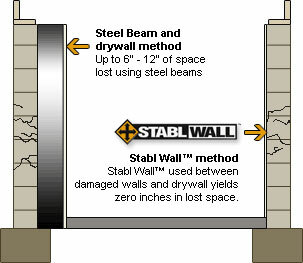 But StablWall goes between your damaged walls and drywall – that means you don’t see it, and it doesn’t cost you any space. foundation, for the life of your home.